Disney was a religious man, though not Catholic. But his optimism is matched by centuries of Catholic writing and teaching. In many ways, the Disney emphasis on light/shadow has slipped a little in the years since Walt died. 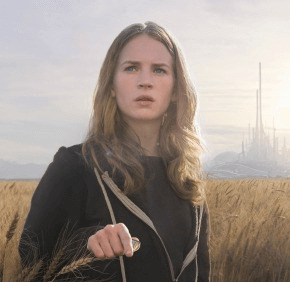 But in the new movie, “Tomorrowland,” light/shadow and pessimism/optimism are on display in abundance. In 1964, Young Frank Walker (played by Thomas Robinson) brings his jet pack, cobbled from vacuum cleaner parts and other oddities, to an inventors’ exhibit at the New York World’s Fair. The fair was the venue for several of Disney’s grandest ideas, including the Carousel of Progress and the ride that became “It’s a Small World,” which were later moved to Disneyland. In the movie, we hear the refrain “It’s a great big beautiful tomorrow” beckon optimistically. The old and grizzled Frank Walker (George Clooney) believes the world is doomed. Riots, chaos, wars and hate seem to have overtaken the whole human race. Can humanity be saved? Enter Casey Newton (Britt Robertson), a young woman who provides a flicker of hope. Without giving away any spoilers, the movie reflects Walt’s early themes of triumph of good over evil. There is self-sacrifice to save the world. There are villains. And there are people of hope. St. John Paul II acknowledged the dicey state of world affairs in 1994, when he previewed the upcoming Great Jubilee of the Year 2000 in “Tertio Millennio Adveniente” (“As the Third Millennium Draws Near”): “The basic attitude of hope, on the one hand encourages the Christian not to lose sight of the final goal which gives meaning and value to life, and on the other, offers solid and profound reasons for a daily commitment to transform reality in order to make it correspond to God’s plan” (TMA 46). We humans have the free will to act rightly and the power to make change in the world. We can be people of despair, or people of hope. “Most things are good, and they are the strongest things,” as Disney said. Given the chance, hope will win. 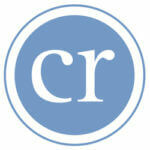 Gunty is associate publisher/editor of Catholic Review Media. For more Amen columns, click here.